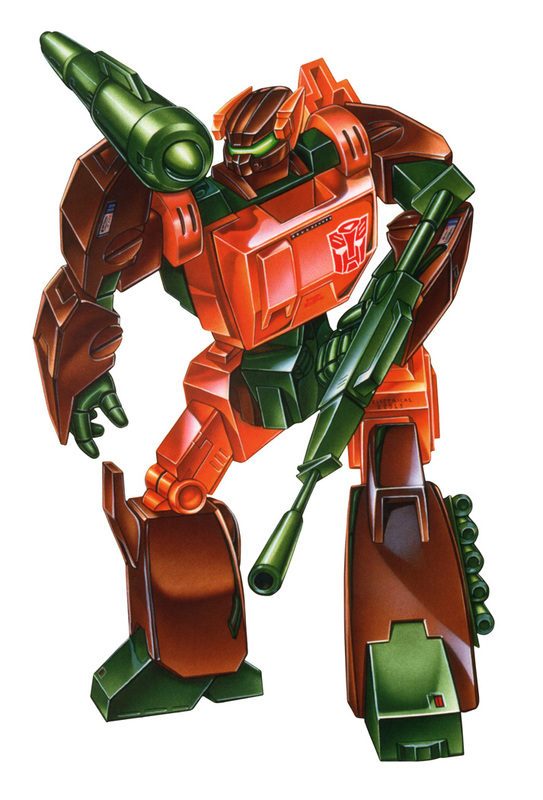 These are thoughts that occur to me when I think of when I think of ROADBUSTER, the 1985 Autobot Ground Assault Commander. 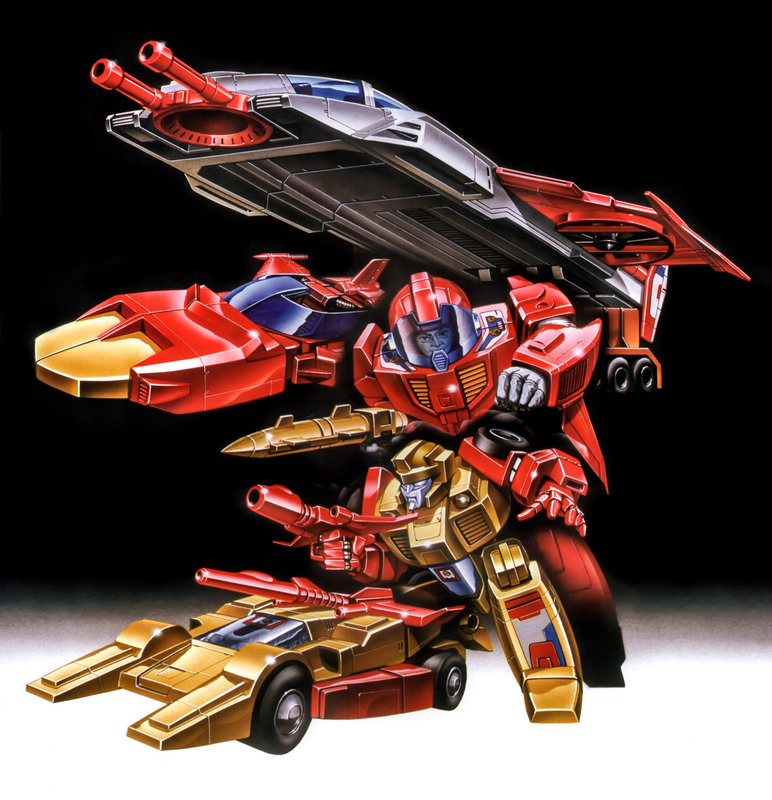 Happily, the Destron (Decepticon) Pretenders featured in Masterforce, who in the show are said to have taken the form of demons, have all just gotten a serious upgrade in the Archive! Here they are listed first by their English names followed by their Japanese designations. So let's try a little experiment. As we all know, the marvelous Transformers Legacy: The Art of Transformers Packaging book finally came out a few months ago. I had always intended to start improving some of the sub-par entries in our Archive by scanning from the book, but my sub-par scanner was not up to the task. Getting a good scan of these pages is difficult! Plus the pages are larger than your typical letter- or legal-sized scanner. So I bit the bullet, purchased a Mustek A3 1200S oversize scanner, and got to work. In one day I scanned over 20 characters! And then I did some color comparisons and realized my settings were all wrong so I deleted them all. (Sigh) I recalibrated and then in another day I scanned over 20 characters! Now I need your help. The Archive has always been a collaborative effort. The site would not be where it is today without the efforts of fellow fans scanning and editing whenever and wherever they could. Well, I'm asking for your help again. This time we're going to experiment with a more free-flowing format. So it's been all positive feedback to the site redesign! Or maybe the haters just don't want to take time to write. Either way, following on some great suggestions I've done a couple more tweaks, including access to the search in the footer, sticky "Home" and "Archive Home" icons at the top left, and some text edits (Dollface is my proofreader). More importantly, I've finally added in a few submissions that had been on stand-by while I was recoding... as well as some new Botch the Crab art! Aaron Lockwood sent in the 1984 UK catalog (front + back) which you can naturally find in the Catalogs section. Shawn MacKay submitted instruction scans for the four European-exclusive characters that were missing them: Clench, Pyro, Lightspeed and Fearswoop. You can check them out and all the other UK instructions on the Tech Specs page. And Ginraii submitted an improved Metroplex! Because he loves him. The last redesign was back in 2005, and a lot has changed in that time. Perhaps most significantly, while desktop screen size continues to increase, many people are using their smartphones and tablets for the majority of their internet browsing. This has led to something called responsive web design wherein pages are designed and coded to dynamically alter their flow and presentation based on the size of the screen. This site now employs this strategy so that you can have an excellent viewing experience whether on your iPhone, your laptop, or a huge panoramic screen like the one I'm using now. I've also simplified the site stylistically, streamlining the browsing experience and removing clutter. I've removed a lot of peripheral sidebar information (because let's face it, only a small minority of this site's visitors care about my bands). I've moved the navigation off the main screen to instead fly in from the left when you click that top-left universal "menu" icon. I've added "Continue to the next year" links at the bottom of each of the box art year pages because that's how the majority of visitors browse the Archive. Perhaps most significantly, I'm finally using an in-screen modal for displaying images (rather than opening a new window). Stuff like that. 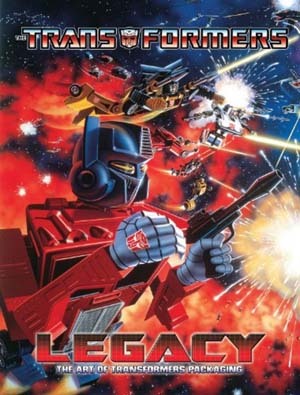 In case you haven't heard, the book is out: Transformers Legacy: The Art of Transformers Packaging, by Jim Sorenson and Bill Forster, an officially licensed hardcover release of pretty much all the G1 and G2 Transformers package art. If you're reading this, if you're on this site, you are likely a fan of said art. You may be wondering what I think of the book. Allow me to share! This book has a lot of art. If you can think of it, it's probably in there. From unused prototype art to promotional battle scenes, this volume is chock-full. 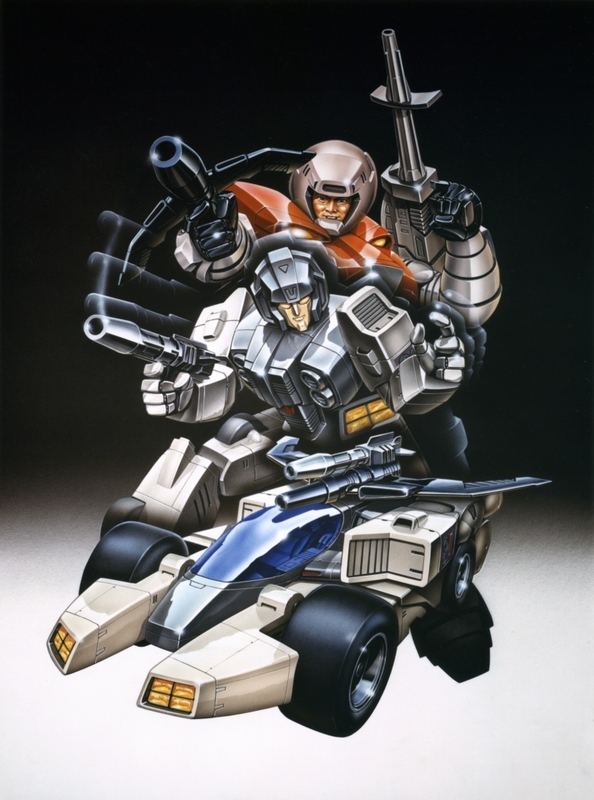 Of course, the vast majority of fans (including myself) will focus on the first half of the book dealing with the earliest and most familiar Bots and Cons, but all the material is worth perusing. With the exception of Jetfire (no doubt omitted for legal, Robotech-related reasons), I cannot immediately discern any figure that's been excluded. It's time to post scans from another "Find Your Fate" book! 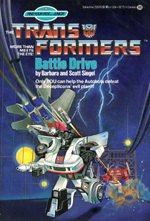 This time it's Battle Drive, which involves some plot by the Decepticons to starve America by destroying all its farmland. 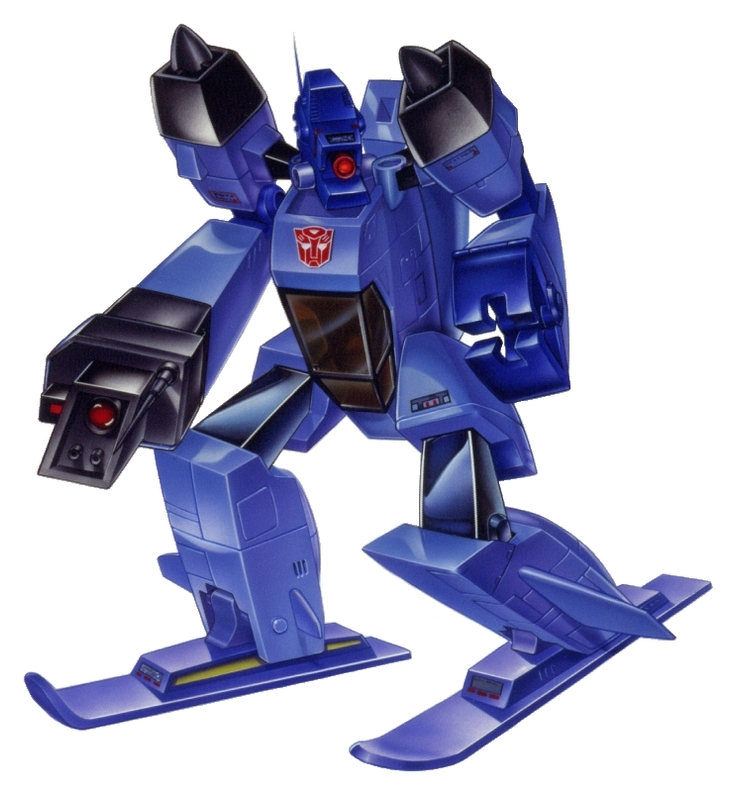 Or maybe that's just a ruse to draw out and kill some Autobots. 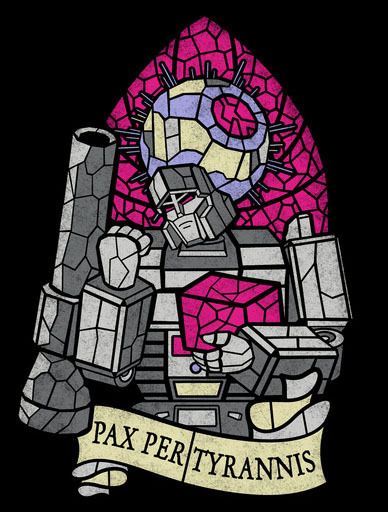 Or maybe they're trying to capture Sparkplug Witwicky, who has somehow "discovered what he thinks is a fatal flaw in the Decepticon circuitry." Which is it? Well, that's the beauty of a choose-your-own-adventure book: it changes each time. This book is fairly odd for the medium. There's an ending where the whole story is a dream that you, the reader, wake up from. There's a page that encourages you to actually write in the book in the hopes that Optimus Prime will see your warning before they're caught in a Decepticon trap. Anyway, I've once again cut up my copy to better scan the pages. You can find them in the FIND YOUR FATE gallery, starting here. Enjoy! That's the poster I got recently. It's a near-complete print of the 1986 back-of-the-box battle scene, omitting only some of the landscape at the very bottom. 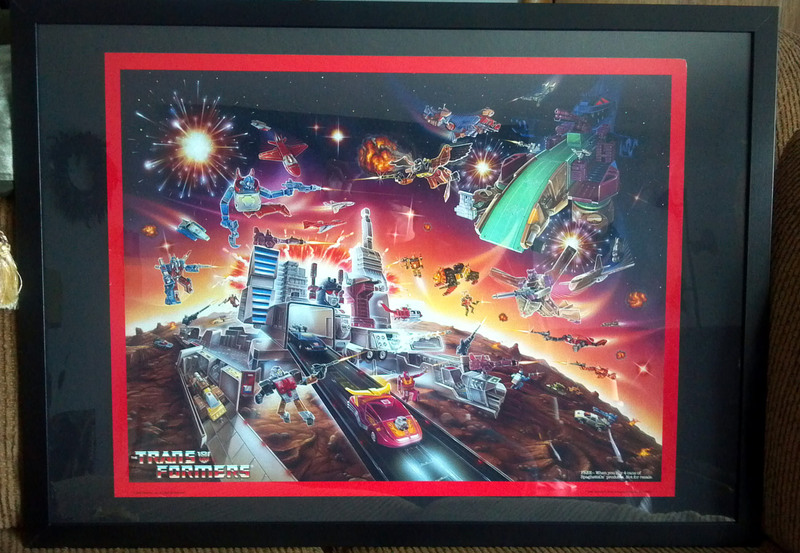 It measures 20" x 17" and it is AWESOME. That photograph doesn't do it justice, mostly because photographing anything that's behind a reflective surface is a maddening struggle against glare and reflection.